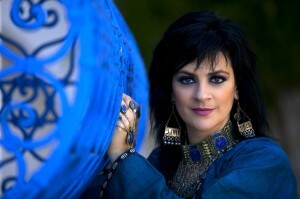 The international cultural festival “Red Zone” will be arranged from 28 February to 3 March 2013, with Kulturkirken Jakob serving as the main stage, and featuring such recognized artists from the Middle East as Tania Saleh, Rim Banna, Mohamad Abla and Syrian Bear Yumal. KKV, the festival host, has given it the subtitle “Free the Arts”, which underlines that the festival is about freedom of expression through the arts. “Art has a different and perhaps deeper way of describing and understanding reality than the often simplified and one-sided formulas of the news media. We have no real freedom of expression if artists don’t have the freedom to express themselves as they want to, and if they don’t have an arena and an open channel to reach a broad audience. This is a challenge, not only in countries that have a general problem with freedom of expression. It is also an issue in Western democracies,” says Erik Hillestad, the head of KKV. This event offers music, poetry, film, dance, performance art, installation art and other forms of visual art. This is a collaborative project with Dansens Hus (House of Dance), which for the “Red Zone” festival will present “Open for everything”, a dance performance by Constanza Macras. The opening show “Red zone performance” on Thursday 28 February will feature an array of expressive forms under the direction of Kate Pendry and Erik Hillestad. 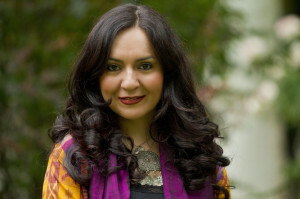 Featured performers include Syrian Bear Yumal, Iranian Mahsa Vahdat, Vietnamese performance artist Luong Tran and Egyptian painter Mohamad Abla, along with authors Walid Al Kubaisi and Håvard Rem, actress Kate Pendry and installation artist Morten Viskum. Together they will demonstrate some of the conditions for freedom of expression across national borders and political systems. On Saturday 2 March the award-winning Iranian film “Parviz” will be shown for the first time in Norway, and Majid Barzegar, the director, will attend the showing and will discuss the film afterwards. On Sunday 3 March, which is also Music Freedom Day, a concert will be given featuring Tania Saleh (Lebanon), Rim Banna (Palestine) and Bugge Wesseltoft (Norway), Toot Ard (Golan heights) and Checkpoint303 (Palestine and Tunisia). Throughout the cultural festival the exhibition “Images in times of rebellion” by Egyptian visual artist Mohamad Abla will be on show in Jakobs Brønn (the church cellar). The dance performance “Open for everything” by Constanza Macras – a celebration of the songs, dance and music of the Rom people – will be given on 1, 2 and 3 March in Dansens Hus. The programme council for “Red Zone” features Nina Zandjani, Kate Pendry, Walid Al Kubaisi, Jon Peder Egenes, Nina Witoszek, Sigbjørn Nedland and Cato Litangen in addition to Erik Hillestad and Morten Eriksen. Red Zone is funded by the Norwegian Ministry of Foreign Affairs, Fritt Ord (Freedom of Expression Foundation) and Arts Council Norway. The Red Zone press brief in Norwegian can be downloaded in .pdf from here.